30 | October | 2013 | WHATEVER WAS I THINKING? 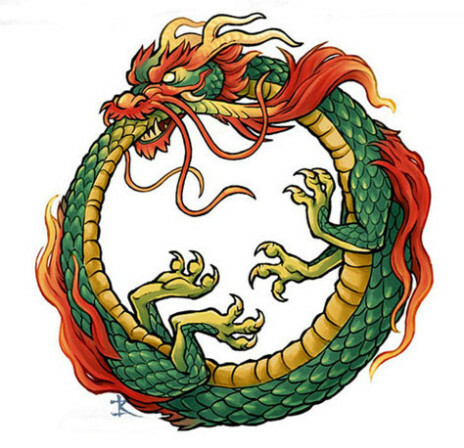 The truth is that life is like the dragon Ouroboros, and the wheel goes round and round. The thing I need to focus on is setting up a schedule for a non-worker person. Procrastination coupled with my ADHD leads to some interesting scenarios around the house. The kind of scenario where I have to keep everything in the house on somewhat of an even keel and yet fail miserably. I have far too many books on organizing and if I had set that organization in place, I could find them. Sam the Dog has become my constant companion. Following me from room to room as if I had the treats in my pocket and would just spontaneously give him one. Moo the Cat has been on a diet and has lost some weight but you would think we were starving him by the plaintive wails he emits by his food dish. The birds have discovered the bird feeder I put out last summer and now that it is fall are hitting regularly. This makes for Moo TV as he lies in the window just waiting for the opportunity to bang his head on the window when he sees a bird. I am going to have to find a more accessible spot for the winter since shoveling for a bird feeder is a little ludicrous. I find that I work in spurts. There is so much to do that I can never see an end. Bottom line, we need a house that is three times the size of this for all of our treasures. Or, crap as some are sure to say. I have started winnowing the extras out. It meant I had let go of the worrying about the future when someday I might need it. I gave my giant slow cooker to beautiful daughter and lo and behold I thought I need it. Oh, but wait, don’t I have at least two dutch ovens that would cook enough pot roast for a family of 16. It came out great even if it was cooked in a traditional way. This is the last post about health issues that I will write. Even I have of it.